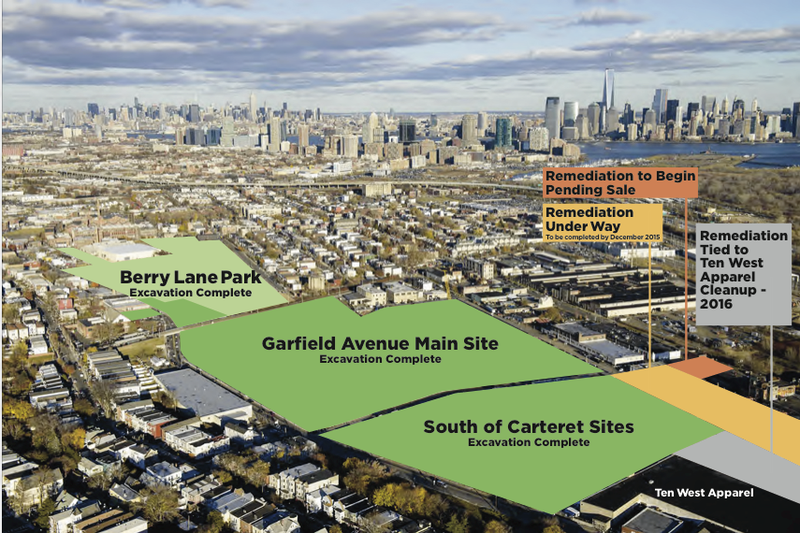 On behalf of the Site Administrator for Jersey City PPG Chromium Sites, please find the attached update package on the status of cleanup activities at the Garfield Ave Sites. Please direct any questions to Mr. McCabe (information is below) or visit the website http://www.chromiumcleanup.com/. Jersey City’s Office of Diversity and Inclusion, New Jersey City University, (NJCU) Starting Points and the Citi Foundation are conducting the first immigrant research study in Jersey City, Project Handshake. According to the United States Census, between 2009-2013, the foreign-born population of Jersey City represented 39% or 98,153 people. Over the years, there has been no research about this immigrant population and its needs. By conducting this research project in the six wards of the city, we will gain a good snapshot of the foreign-born population. The City Council Members of Jersey City support this research and they have shared the names of some of the community leaders in each ward. We are looking for at least 6-10 volunteers to participate in a focus group in your ward. This focus group is generally set up on Tuesday at 2-4 or 6-8 p.m. The design for Project Handshake consists of two focus groups (FG) per ward, two hours per focus group. City Corps (community interpreters and translators) will provide the translation and interpretation as requested. NJCU student volunteers have been trained to document the information by the International Institute for Community Building of Starting Points who will also lead the FG discussions. I am asking for a diverse mix of immigrants (old, young, married, unmarried, newly settled in Jersey City or a longtime resident of the city) to participate in a focus group. After collecting the information from the focus groups, we will prepare a document which will be shared with the City Council of Jersey City, New Jersey City University and the Citi Community Development Fund. No names will be mentioned in the report and comments will be made in confidence. If you have any questions about this project, please contact ctansey@startingpoints.edu. Listed are upcoming activities that will be taking place at our Hudson County Center. Please help us promote these activities with people in our community. 1. 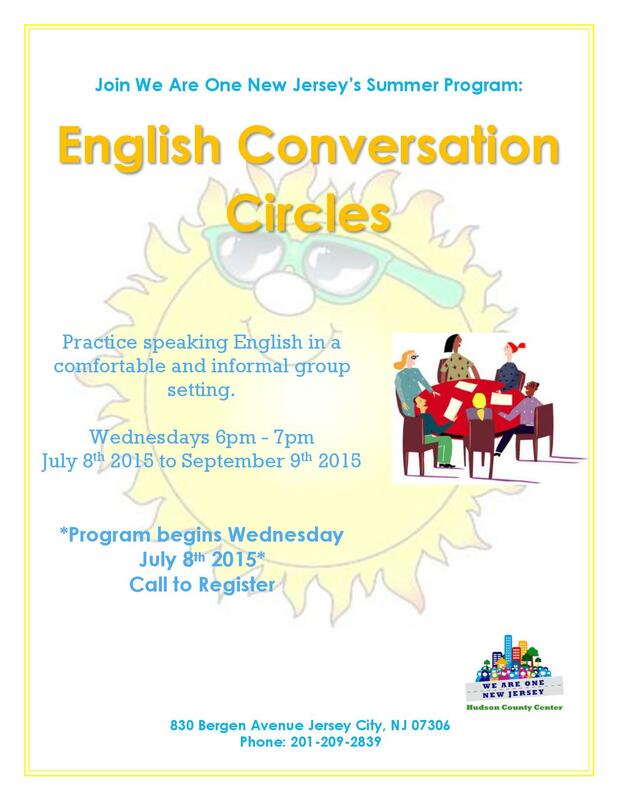 English Conversation Circles for people who want to practice their English in a relaxed environment. 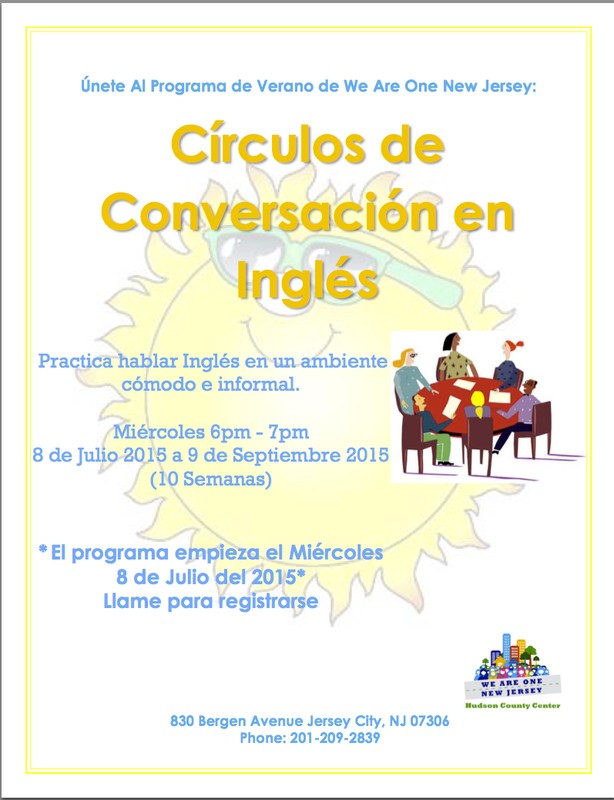 This 10-week summer program will beginWednesday July 8th 2015. 2. Voter Registration Drive August 3rd - 7th 2015. We want to register as many eligible voters in Hudson County as possible. 3. Citizenship Preparation Classes. Our next session begins Tuesday July 28th 2015 (classes will take place Tuesdays and Thursdays). Registration is now open. Call to register. 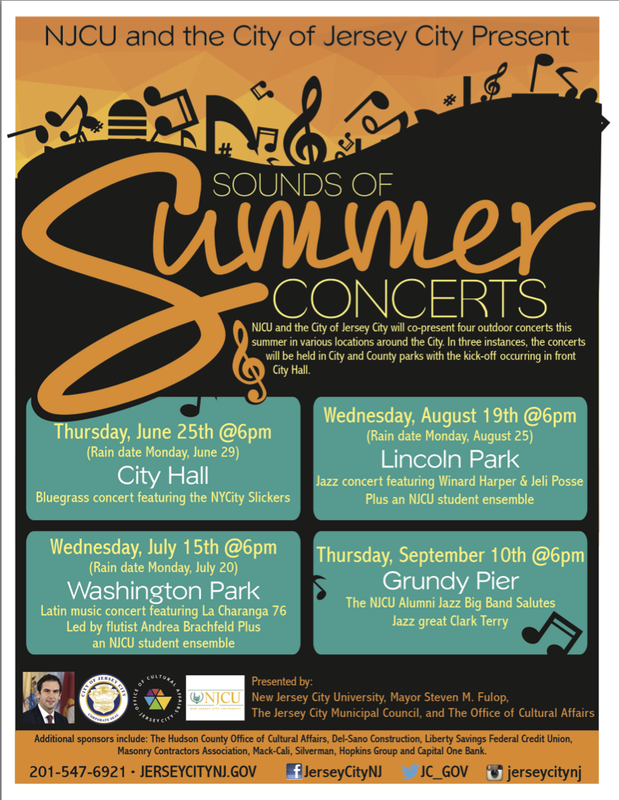 Attached are flyers for these upcoming events; all of our programs are at no cost to the community of Hudson County. We are also accepting volunteers to help us run these programs.Contact us if you have any questions. The Jersey City Planning Board will review a report titled "Report Concerning the Determination of the City Hall Study Area as a "Non-Condemnation Area in Need of Redevelopment" at its regular meeting on Tuesday, June 23, 2015, 5:30pm, 280 Grove Street. The JC Planning Division will present this report documenting the current conditions of the property mentioned above. It's official! The middle school, Explore 2000, will be moving to 180 9th Street. Explore 2000, the county middle school serving students in grades 6-8, is moving to the Ninth Street facility. This move will enable this STEM- focused and project-based school to grow from approximately 50 students to 240 students and create lab space for hands-on learning. The school has an excellent track record of preparing students for high-performing local high schools and its expansion will increase the availability of quality middle school options for Jersey City students. In addition, the County will be offering a range of adult education courses at the facility, including advanced manufacturing, as well as ESL and GED classes. The gymnasium will be continue to be accessible to Jersey City organizations. The Hamilton Park Neighborhood Association in conjunction with the Jersey City Art School are hosting a design idea competition for a Little Free Library, to be placed in Hamilton Park. The HPNA is providing a $300.00 prize for the winning design! It’s a “take a book, return a book” gathering place where neighbors share their favorite books. In its most basic form, a Little Free Library is a box full of literature and stories where anyone may stop by and pick up a book (or two) and bring back another book to share. There are tens of thousands of Little Free Libraries throughout the world. For more information on the Little Free Library movement, as well as useful information for designing one, see littlefreelibrary.org. Height / Length: 5 ft maximum - Width / Depth: 2 ft. maximum. Material specification is must. Be sure to design for protected use in all weather conditions, and have anti-vandalism features. Electronic entries are preferred, but designs can be sent via drawings or model as well. Be sure to include your name, phone number, e-mail, and address. There is a development proposed that falls central to all of our downtown neighborhoods at Columbus & Barrow. 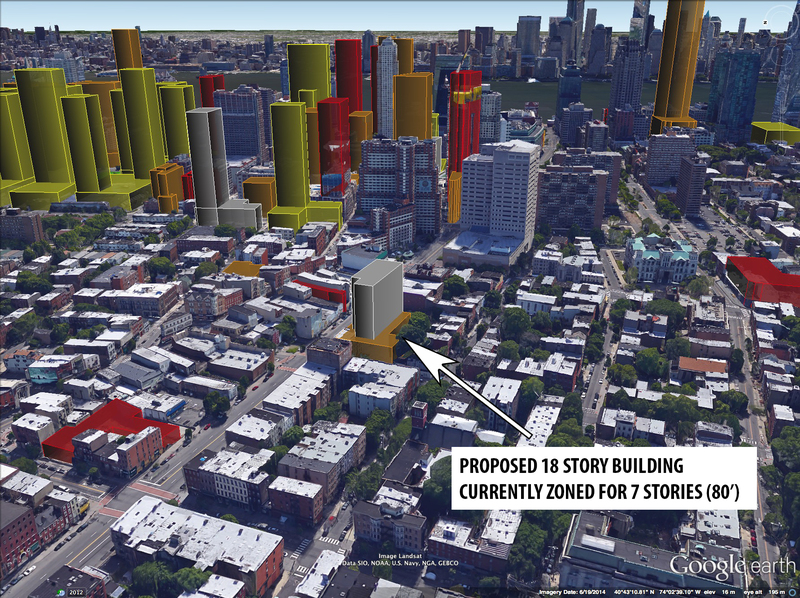 The Van Vorst Neighborhood Association will be having the BNE Group speak tonight regarding their proposal for an 18 story building, currently zoned for 7 stories. The BNE Group is working on a proposed project for the Columbus Corner Redevelopment Plan (RDP). This RDP has specific requirements regarding the rehabilitation of existing Historic resources and new construction located on Barrow Street within the Historic District. Their proposal includes an 18 story residential tower in the Mixed Use portion of the RDP, which exceeds the allowable 7 stories (80') permitted by the current RDP. Since a project of this scale will impact not only the immediate block, but also the surrounding blocks located within the Van Vorst Park Historic District, and would also require amendments to the current RDP, BNE is invited to receive community input/comment. Below is a link to the current Columbus Corner Redevelopment Plan that BNE Group is asking to be changed. This Spring the Hamilton Park Children's Community Garden will launch "Small Green Thumbs", a four week Children's Gardening Program to prep the garden for the summer months. 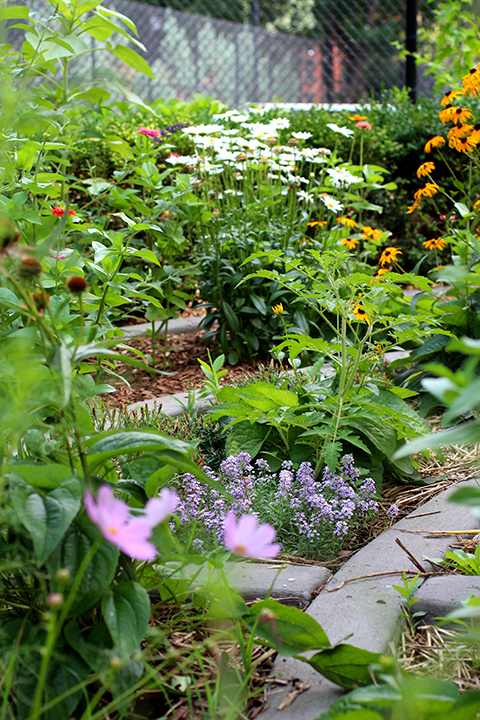 Throughout the four week program children and adults will learn what goes into caring for the garden and how proper maintenance can create a beautiful space for everyone to enjoy. The program is designed for children 5 and older. Children must be accompanied by a parent or guardian. Below is a rough schedule of activities for the four week program. Depending on weather and needs of the gardening these activities may vary slightly. Week 4: Join us for a wrap up of our mini garden program! Plant A Tree! Order by May 22 to get a $200 tree from JC. If you have any questions please call the Division of Parks Maintenance at 201-547- 4449. Trees will only be planted along curb line adjacent to owners property. No private property requests please. When ordering remember recommendation that trees be planted twenty feet (20') apart and five feet (5') from utilities. Final planting location will be determined by the Director of Park Maintenance or his designee. If you have a preferred location you may note it below in comments. Preferred location may be changed if utilities or other considerations warrant such action. Tree supply is limited and orders will be filled on a first come first served basis.